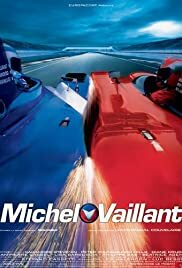 Fearless racer Michel Vaillant attempts to win "24 Hours of Le Mans", the famous highly challenging and prestigious annual endurance race that lasts one whole day. Clara is happily married to a promising lawyer and lives in Paris. After the sudden death of her mother, Clara has to assume responsibility for her younger sister Lily, whose extreme sensitivity makes her vulnerable. It's funny how much this movie is hated and bashed by mainly the French speaking people and critics for whom Michel Vaillant is a real icon figure, while in the rest of Europe and outside of it, this movie is regarded as a good movie! It are mainly the people who grew up with the comic books that saw and hated this movie, hence the low rating on IMDb.com. But for those who aren't familiar with the comic books this movie is a fun watching pleasure and very well worth seeing. I'm sure when the movie gets more world widely released, the rating will go up as well, something this movie really deserves. Granted that the story is absolutely unbelievable and dumb but in this case I had no problems or what so ever with it. Keep in mind that this movie is based on comic books, so if you expect any reality or logic, this movie might not be your kind of thing. Just sit back and enjoy and don't think too much about the story. Of course the best things about the movie are the races. For a race lover this movie is a real must see. The races are really spectacular and should get your adrenaline flowing. I certainly wouldn't mind seeing more Michel Vaillant movies being made!